CEDAR HILL—An active K9 on a police force takes a beating in his job. Probably even more so than many of the police working the beat alongside since he, rarely is the K9 a she, is the one chasing down the bad guy with a precision nose for finding the needle in the haystack. Unfortunately, that tough job takes a toll on man’s best friend. That’s why the folks at the Cedar Hill Pet Memorial Project decided to initiate a grant with money earmarked for the four-legged hero and his two-legged hero counterpart. Called the “Shadow Fund,” the grant money is designed to cover the medical costs associated with a retired K9. The first grant disbursal for the “Shadow Fund” launched on January 1, 2016 and Corporal Michael McCorkle, a K9 Handler at the Ellis County Sheriff’s Office received the money. McCorkle and his retired K9 German Shepherd named Jax were referred by an ex-partner at the Cedar Hill Police Department who was a K9 handler himself. The referral by Cedar Hill Corporal J.R Podany also traces back to McCorkle’s time working in Cedar Hill alongside he and his K9 named “Shadow,” the dog whose name has been memorialized through the Cedar Hill Pet Memorial Project grant. Jax honorably served in active duty in disciplines of Narcotics, Patrol & Tracking from 2007 to 2014, but the McCorkle family was taken by surprise one day when he came down with a sudden onset of high fever and diarrhea that immobilized him. The blood tests revealed an infection that required immediate medical attention at the Animal Emergency Hospital of Mansfield and the members of the Shadow Fund board approved the expenses, thus awarded Jax and McCorkle the first grant from the Shadow Fund. The Shadow Fund is an advocacy program that grants financial assistance to handlers of retired K9s since these handlers, often officers themselves, have served alongside the K9s as members of local police departments or the military. When the K9 is retired in many situations the handler takes the dog and is fully responsible for the medical bills associated with caring for the K9. Often these dogs face debilitating injuries and medical conditions as a result of their service to the community and nation. “Under his [Podany’s] advice, Cedar Hill Pet Memorial Project Inc. created the “Shadow Fund” and the first grant cycle,” said Atul Kapur, Public Relations Director for the Cedar Hill Pet Memorial Project. 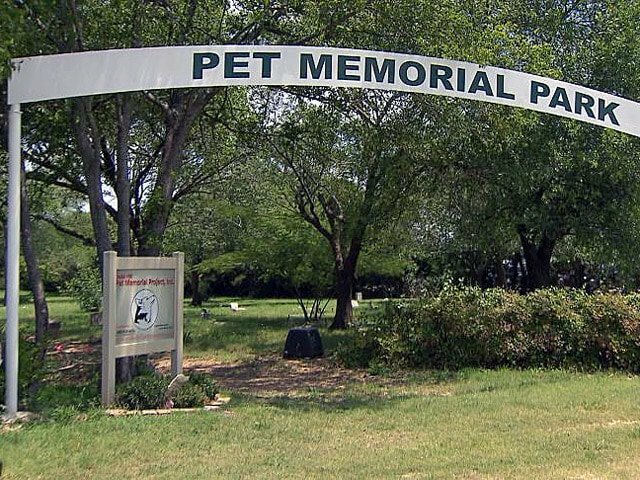 Since the success of that first grant awarded at the beginning of the year, the folks at the Cedar Hill Pet Memorial Project Shadow Fund are eager to begin the second application cycle. That cycle will begin on July 1, 2016 through the end of the month. Kapur said that the grant amount in July will be $1500. The application will be available beginning on July 1 at www.CedarHillPetCemetery.org under the Shadow Fund tab. The Shadow Fund has been made possible through the support of both individuals and especially the Petco Foundation and local PETCO stores across the DFW Metroplex. The fund operates as a 501(c)(3) non-profit corporation and provides a tax exemption for its donors.